Searching for pvcu window contractors in Edinburgh? Our upvc double glazing fitters in Edinburgh will be able to provide you with the best quotations to have A rating upvc double glazing fitted in your house. Installing double glazed windows in the house will take less than one day, creating minimal stress and disruption. Professional double glazing firms in Edinburgh will measure your windows and fit the glazing, quickly saving you money on energy charges. Double glazing is designed to save by retaining heat in your house. Take into account that you'll make great energy bill and carbon emission savings with A rated replacement doors and windows in Edinburgh. We will supply you with no obligation quotations from firms in Edinburgh who will be ready to supply you free surveys to work out the price tag on upvc double glazing and help you begin making savings today. You can then contrast these quotations and see the best new double glazing cost. The capital of Scotland is the second biggest city in the country and it's found in the southeast with a population of 495,360. Currently there are four,500 listed buildings and forty Conservation Areas in the city, spanning from Medieval and Georgian times, guaranteeing Edinburgh continues as a flourishing tourist attraction. Preserving homes is important to keeping value, so receive your free of cost home development rates from vetted skilled tradesmen. Installers of new double glazing (A graded windows, secondary upvc double glazing, new windows) in Edinburgh. They are going to supply you with quotations in Edinburgh for the setting up double glazed units. Quotatis are wholly commited to obtaining you the best quotes in Edinburgh by comparing and contrasting over 100 firms. Rhys was very professional for a young guy, explained everything in great detail. I think I took his time up with all my questions which he professional answered with the differences with the glass dB and u values. took too long and was VERY expensive. We noted 15,625 requests for property double glazing quotations in Edinburgh. Of these quotation requests the number of double glazing quotes in Edinburgh was 320. Quotatis would have been able to match these customers with up to four suitable installers who were available for work in Edinburgh at that time. Request a free home survey from reputable companies in Edinburgh. Beneath you will find the UK's total populace based upon areas of the country. The overall populace of the UK is over 62 million, with London and the South East keeping quite a large proportion of this. On the other hand, Northern Ireland and the North East of England have the fewest inhabitants in the whole of the UK. With the information underneath you will see the total number of solar power installations there are in Edinburgh. Solar electricity is growing in popularity and a lot of homeowners are now planning to have this renewable technology placed on their roof to reduce energy bills and earn a tax-free income. Why not see if you can join the 1000s of UK householders producing their own eco friendly energy. The data below shows the standard house price in Edinburgh. On the whole, home prices have increased in value considerably within the last decade. Nonetheless, in recent years prices appear to have stagnated and it's important to improve your home to add value. The information beneath shows the house market for the past 7 years and precisely how many homes have sold within Edinburgh. As a result of large expenses linked with moving home, many people are now choosing to stay put rather than relocate. 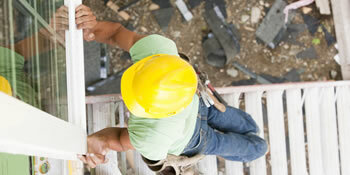 Home improvements are becoming a lot more popular as people look to improve their property. Have a home improvement job and need a recommended installer? Quotatis will help you find the best professional in Edinburgh and nationally, so you get the best possible prices. Simply search for your project and request up to 4 quotes.